XpandHIX™: Your Benefit Plans, Your Customers, Your Private Exchange. 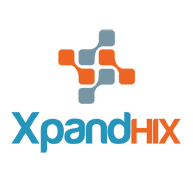 For an insurance carrier seeking to offer a single carrier, defined contribution, private health insurance exchange (HIX), XpandHIX provides a sophisticated, intuitive and personalized plan selection interface for consumers to shop for health insurance. In addition, XpandHIX supports the defined contribution functionality necessary to track employer contributions as well as employer and employee premium payments. Add enrollment, eligibility, billing and other interfaces and you have all the necessary tools to offer customers alternatives, savings and choice. For insurers, the private exchange will likely be a preferred alternative to the planned public exchanges expected in 2014. Defined premium contributions allow employers to continue to offer access to employee health benefits, but with limited and predictable financial exposure. The defined contribution approach through a private exchange also allows insurers to develop closer relationships with customers: limiting costs for employers, while offering choice to employees – two outcomes typically absent in the market. Simple configuration tools allow employers or brokers to configure contributions and options for employees. The plan selection tool, MatchU™, offers employees alternative search methods – a personal interview process (LifeMatch™), a cost comparison tool (CostMatch™), and advanced search filtering – to find a plan that fits one’s needs. An employee may also use SocialMatch™ to determine what other people with similar characteristics choose. PremiumMatch™ compares the employer contribution (as well as prior year, unspent amounts if rollovers are permitted) with the plan cost to determine the employee’s actual cost. Integration with the insurer’s core systems – enrollment, eligibility, product, billing, customer service, sales, etc… allows for synchronized management and comprehensive support for consumers using the platform. To learn more about private exchanges, please see the information in our Knowledge Center or contact us directly.